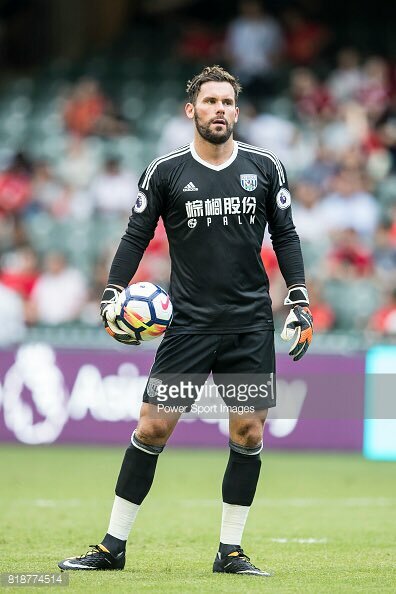 Watford goalkeeper Ben Foster has admitted that he knew he was going to receive a negative reaction from the West Bromwich Albion faithful after he pushed through a move to Vicarage Road this summer. The England international had earlier promised to help the Black Country outfit return to the Premier League but he thereafter made the surprise decision to join the Hornets. Speaking to reporters, Foster acknowledged that he deserved the backlash from the West Brom supporters, given he had failed to keep up with the promise. He added that he could not resist the opportunity to join the Hornets, considering he has already entered the twilight of his professional career. Foster stayed with the Baggies for seven straight seasons and during this period, he had been regarded as one of the best goalkeepers to have ever played for the club. Despite this, the 35-year-old could not turn down the opportunity to join the Hornets and the move has apparently left a sour taste among the majority of the West Brom faithful. The shot-stopper has been a regular for Watford during the course of pre-season and he is expected to start between the sticks when they host Brighton & Hove Albion in their opening game of the new Premier League campaign.